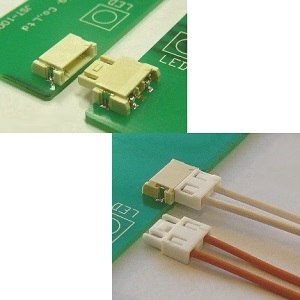 Considering about luminescence property of LED device, this LEB connector is designed as low profile type connector (height: 2.7mm) for LED lighting, and achieves the space saving. 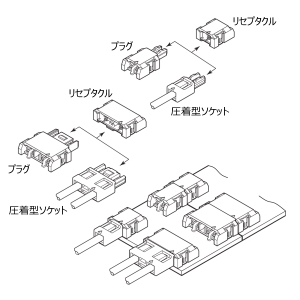 The horizontal connection between PCBs enables and the mechanism of absorbing the PCB misalignment has been installed considering the parallel use for the connector. Fork type contact that has a high contact pressure (receptacle side) and enough mating stroke provide the stable contact performance even if the PCB expands and contracts due to heat.